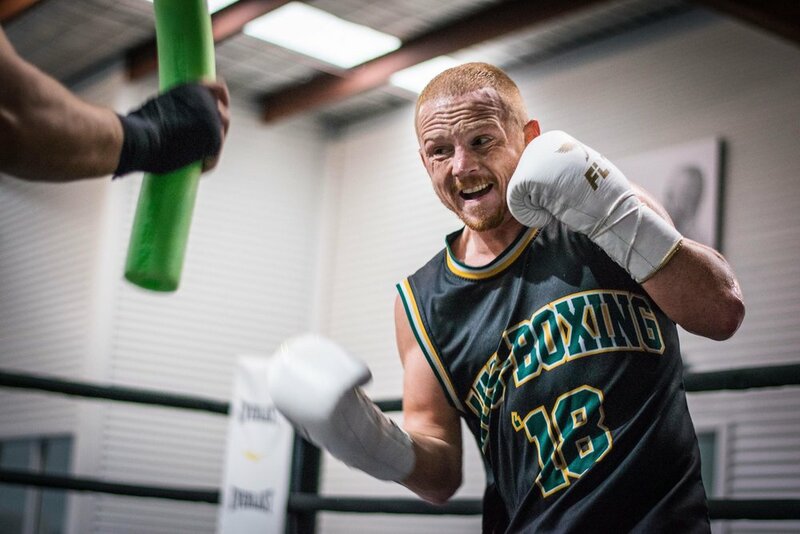 Luke ‘Action’ Jackson is as brutally honest about his life as he is determined in the ring. The featherweight contender’s well-publicised battles with mental health and his candour in discussing those issues has endeared him to fight fans both at home and around the globe. A late starter in the sport at 18, Jackson found boxing gave him the structure and discipline he lacked in his home life. As an amateur he compiled an impressive record of 113-32 and claimed the bronze medal at the 2006 Commonwealth Games in Melbourne after less than three years in the sport. Jackson was appointed team captain for the 2010 Commonwealth Games in New Delhi and again for the 2012 London Olympics. 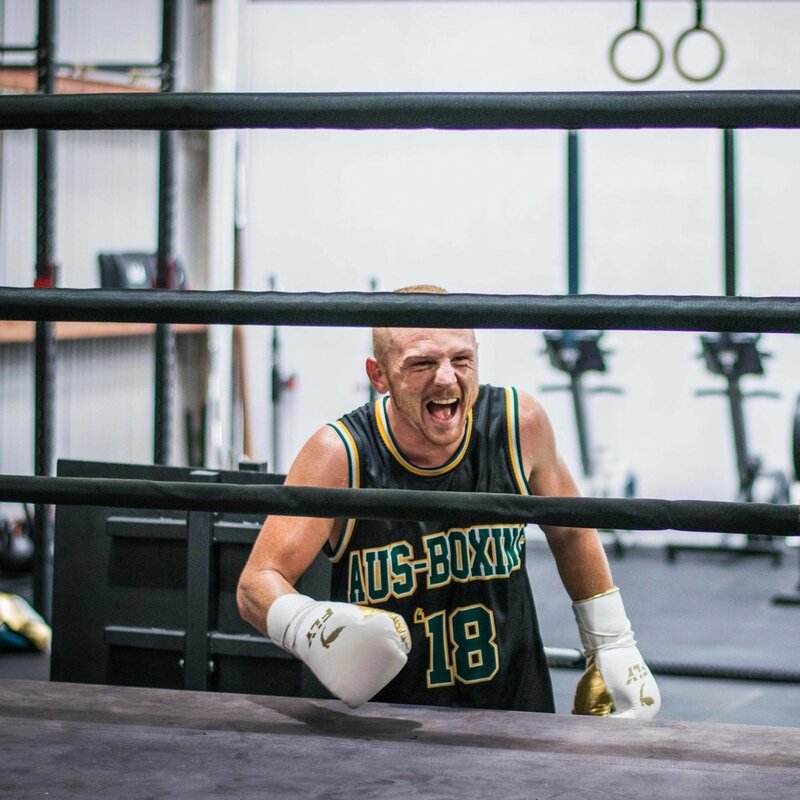 A proud Tasmanian hailing from the island state’s capital of Hobart, Jackson travelled to Belfast in Northern Ireland where he headlined the card at Windsor Park when he challenged Carl Frampton for the interim WBO 126-pound title in August 2018. The tough Aussie put up a valiant effort but was eventually stopped in the ninth round when his corner threw in the towel. In the first edition of this regular column, we go 15 rounds with ‘Action’ Jackson. 1. What attracted you to boxing in the first place? JACKSON: I used to love watching Bruce Lee movies as a kid. I always liked the fighting scenes of Jean Claude Van Dam and Chuck Norris. I was a little lost as a kid and needed some direction in life. I was heavy in to drugs and dropped out of school in grade 8. I never knew boxing would give me what it has but I’m glad it did. 2. Toughest fight in the amateurs or pros? JACKSON: Yasniel Toledo Lopez at the 2011 World Championships. I lost by one point to the Cuban but my coaches thought we won. He went on to fight Vasyl Lomachenko in the final and collected a silver medal. He also won bronze at the 2012 Olympic Games. 3. Biggest puncher you’ve faced? JACKSON: Ivan Baranchyk from Belarus. The guy can punch like a sledgehammer. 4. What are the best and worst things about being a boxer? JACKSON: Best thing is winning and worst thing is losing weight – and losing. 5. What is your most defining win of your career? JACKSON: There have been many. 6. What are your goals for the next 12 months? JACKSON: Challenge for another world title and win. 7. What are some your hobbies away from the ring? JACKSON: Eating food with great company and spending time with my girlfriend and two dogs. 8. Who is always ringside for you fights? JACKSON: I have so many people that continue to support me. If I’m fighting in Hobart, Sydney or Belfast, I always have great support and for this I’m very thankful. 9. Who has been biggest influence on your career? JACKSON: Bodo Andreas, former Australian head coach. 10. What fight have you learnt the most from? 11. What is something our readers would be surprised to learn about you? JACKSON: I take 100mg of Sertraline every day to help manage my OCD and depression. 12. Do you have any superstitions or rituals you follow in the lead-up to fight night? JACKSON: I used to but realised they were just OCD traits and habits. I have none now after speaking with a psychiatrist and OCD specialist. 13. What is your favourite post-fight feed? JACKSON: Pizza, steak, burgers, ice cream, chicken parmigiana and chips, heaps and heaps and heaps of chips with aioli. 14. Why would we find you when you’re away from the gym? JACKSON: I’m always in the gym. Eating food and training. I love training, it makes me feel good about myself. 15. If you weren’t boxing, what would you be doing? JACKSON: If I never took up boxing I honestly believe I would be dead or in jail. But what I would like to be doing is just enjoying life with good people.